This entry was written by Rennsalon, posted on 28. 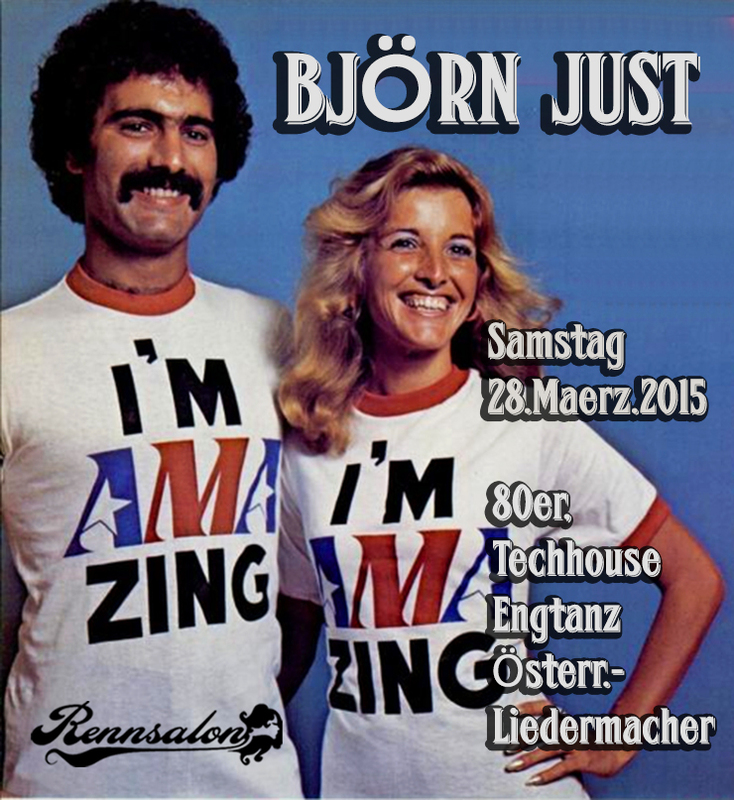 März 2015 at 21:00, filed under Björn Just and tagged 80er, Björn Just, dj, dj set, djs, engtanz, liedermacher, österreichische liedermacher, party, rennsalon, techhouse. Bookmark the permalink. Follow any comments here with the RSS feed for this post. Post a comment or leave a trackback: Trackback URL.